Monmouth County Child Custody Lawyer, Attorney | Law Office of Andrew A. Bestafka, Esq. When a married couple decides to divorce, there are some factors which must first be resolved to end their relationship. One of the most important issues in many divorces is the determination of child custody. Determining the best possible living arrangements for a child following a divorce is crucial to the emotional well-being of both the child and the parents. Unfortunately, custody issues can often become bitterly contentious. For this reason, it is important that you have effective legal representation to ensure that you and your child are treated fairly. It is widely known that the determination of child custody must be addressed with diligence and compassion. During a divorce proceeding with kids involved, the couple separates and ends their relationship, but there is another relationship that remains – the one with their children. The best possible living arrangements for the children must be decided upon following a divorce, as this is very critical to the emotional well-being of both the children and parents. For over ten years, Law Office of Andrew A. Bestafka, Esq. has been a trusted source for people dealing with child custody in Monmouth and the surrounding area. We are knowledgeable in every aspect of family law, and we have the years of experience to get the job done when it comes to custody disputes. We provide our clients with the best possible representation through a time of uncertainty and turmoil. We will sit down with you and walk you through the legal process step by step so that you can make informed decisions about the well-being of your children. Since 2008, Mr. Bestafka has been working in family law and established his practice that focuses on divorce, alimony, child support, child custody, domestic violence, and other aspects of family law. If you or someone you know is considering divorce and needs assistance with child custody questions or a dispute, an experienced legal professional can help you understand all of your legal rights and options in this challenging situation. Contact a Monmouth County child custody attorney at the Law Office of Andrew A. Bestafka, Esq. today at (732) 898-2378 to discuss your situation with a qualified member of our staff. Do I Need A Child Custody Attorney? It can be hard to see the best direction to take when going through a divorce, and when children are involved, things can be even more complicated. You have to still care for your children and make sure that any decisions made are in the best interest of them as well. Having an attorney that you can consult with regarding all aspects of your divorce can ease the uncertainty, and prevent further complications with your stressful divorce proceedings. You may have questions. What if you and your spouse can’t agree on how the children are to be raised? How long is a child custody legal process? These questions are best answered by a skilled attorney who can handle your paperwork and phone calls and negotiate with both parents so that everyone can have peace of mind and the best interests of the children can be protected. If you need an attorney in Monmouth County, we know that there are other firms that you could select to help you with your child custody questions. How do you know who you can trust to fight for you and the best interests of your children? 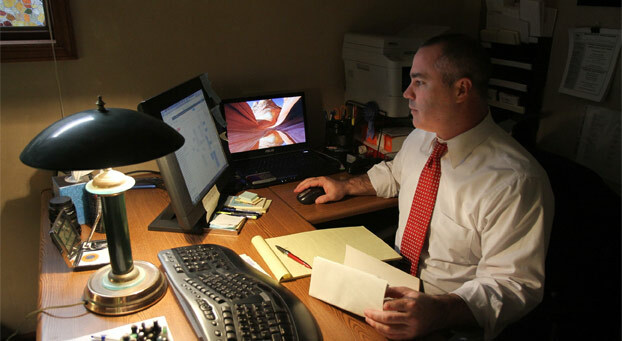 Choosing the right attorney is important and may determine the outcome of your case. Some of the factors that set the Law Office of Andrew A. Bestafka, Esq. apart from other firms are his years of experience, solid track record and client satisfaction. Mr. Bestafka is an award-winning attorney, and his dedication to serving his clients reflects in his positive online reviews. He has the experience to navigate the legal system for you, and he is dedicated to getting you the settlement that you deserve. Anyone going through a painful divorce knows that there are many details related to divorce proceedings. The whole process can be overwhelming and confusing for someone without knowledge of family law. Our legal team has helped so many people in Monmouth County, and we have the dedication and experience to provide effective representation for you. Visitation Rights – One of the most significant questions that need to be addressed immediately in any child custody case is the question of visitation rights. Children are not an asset to be divided like property in a divorce, so visitation must be handled with care and consideration. Sole Custody – A parent may be awarded sole custody under certain particular circumstances. If you believe that you should have sole custody of your child or children, we will fight tenaciously on your behalf to make sure they are cared for by the right parent. Joint Custody – Joint custody is often beneficial for children since it allows both parents to have access to them and their lives. Even if parents agree on shared custody, the details of the arrangement may require negotiation and legal questions often arise. Primary/Secondary Physical Custody – Each custody arrangement is different, and we are here to help with specific questions and issues including those that come with primary or secondary physical custody arrangements. Call us today to talk to a member of our team about your situation. As a parent, you have a right to be involved in your child’s life. Effective legal representation can help ensure that this right is upheld. As you are going through this major life change, we know that it can be rather stressful for you and your children as well. Nobody should try to settle their divorce without proper professional legal representation. Contact the Law Office of Andrew A. Bestafka, Esq. so that we can sit down with you and answer your questions and address your concerns. When going through a divorce proceeding, you may have many questions and concerns that you need to be addressed. For your convenience, we have listed a few of the most commonly asked questions regarding the divorce process. Who receives custody of the children in a divorce? The parents need to decide on the care of any minor children. The custody is divided into physical custody (where the children live) and legal custody (who makes the important decisions regarding the children’s health, education, etc.). Both the physical and legal custody can be either joint or sole. If one parent has sole physical custody, the other parent can have visitation rights, if requested. Custody of adult children is not at issue during the divorce process. Should I hire an attorney if my ex-spouse and I agree on the terms? It is good if both spouses can agree on the terms and conditions following their divorce and the child custody questions that arise as this will expedite the process. However, having a legal representative to answer any questions or concerns that you may have is vital to making the entire process go as smoothly as possible. The legal landscape of family law is constantly changing, so having someone in your corner assisting you with every step of the process is vital. Why should I choose the Law Office of Andrew A. Bestafka, Esq. to handle my child custody case? 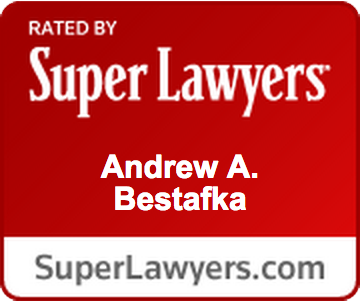 Andrew Bestafka has been one of the most trusted names in family law in our community for over ten years. Mr. Bestafka has been on the committees of the New Jersey State Bar Association and the Monmouth Bar Association. 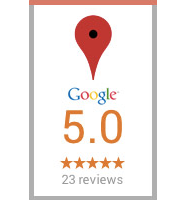 He has won numerous awards, and his client reviews speak for themselves. Mr. Bestafka is entirely dedicated to serving his clients with professionalism so that you can get the best results in your divorce settlement. In a study done by the National Center for Family and Marriage Research, New Jersey was found to have the fourth lowest rate of divorce in the United States in 2015. That equals out to roughly 12.9 people out of every 1,000 New Jersey residents that have been divorced sometime in their lifetime. In the study, the New Jersey couples beat the national divorce average of 16.9 per 1,000, which is a 35-year low. The researchers point out that the state is favorable for low divorce rates based on factors such as education, race-ethnicity, and age. Interestingly, an article in Time Magazine ranked the United States by the happiness of residents. Using statewide surveys, they found that New Jersey was the 32nd happiest state in 2012. By 2013, New Jersey climbed to the 23rd happiest in the nation in that same study. At the Law Office of Andrew A. Bestafka, Esq.. We realize your happiness is a major factor that is impacting your decision to make a change to your family life. We also realize that your goal is to have a stable family environment to raise your children. 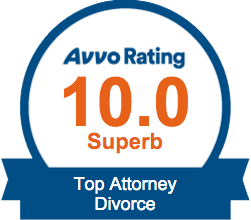 We want you to get back that stability and sense of normalcy that you need after your divorce. The child custody attorneys at Law Office of Andrew A. Bestafka, Esq. care about our clients, and we sincerely want to assist you with all aspects of your child custody case so that the decisions can be made that serve the best interests of all concerned. We take pride in putting our clients first, and we ensure that they have the absolute best representation to settle their divorce as swiftly and painlessly as possible. Contact our Monmouth County child custody attorney at the Law Office of Andrew A. Bestafka, Esq. for a consultation so that you can move forward with your life. If you or someone you know has a child and is considering divorce, it is important that you pursue the services of a qualified attorney to ensure that your rights and interests are fully upheld. Contact a Monmouth County child custody lawyer of the Law Office of Andrew A. Bestafka, Esq. at (732) 898-2378 today to speak with an experienced legal professional about your case.